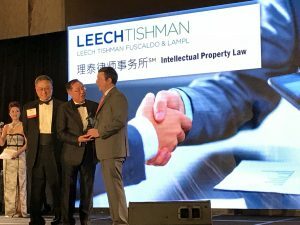 PITTSBURGH, PA – March 6, 2018 – Leech Tishman Fuscaldo & Lampl, LLC (“Leech Tishman”) is proud to once again sponsor the Hong Kong Association of Southern California (“HKASC”). 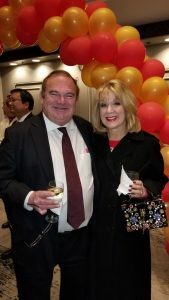 On Saturday, March 3, 2018, Leech Tishman served as the Corporate Banquet Chair at the HKASC’s 26th Chinese New Year Gala. 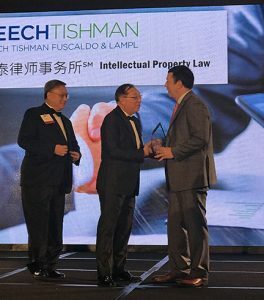 During the event, Leech Tishman Intellectual Property Practice Group Partner Danton K. Mak received multiple commendations for his service in the community and as President of the HKASC. 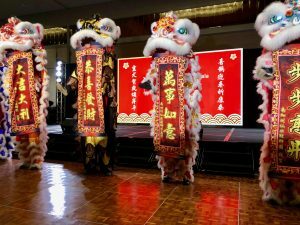 This year’s HKASC Chinese New Year Gala celebrated the Lunar Year of the Dog with food, music, and entertainment. 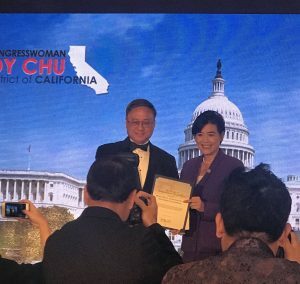 The event featured a silent and live auction that included exciting raffle prizes, including a Cathay Pacific round-trip air ticket from L.A. to Hong Kong. 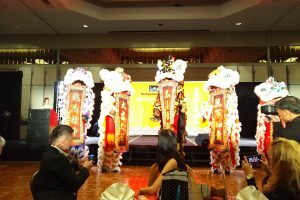 The gala also featured the Miss Chinatown Court. Over 500 guests enjoyed an evening of networking with others in the Southern California business community. Many local business, community and political leaders participated in the event, which was also supported by the attendance of Leech Tishman attorneys and staff, as well as their friends and spouses: Pete A. Fuscaldo, Managing Partner; Kaylyn Boca, Real Estate Practice Group Chair; William F. Bresee, Energy Practice Group Chair, and spouse Josie Bresee; Alan M. Kindred, Intellectual Property Partner, and spouse Lorraine Kindred; Danton K. Mak, Intellectual Property Partner; Steven M. Taber, Aviation & Aerospace and Environmental attorney, and spouse Julie Taber; Philip A. Toomey, West Coast Business & Employment Client Relations Partner, and spouse Celeste Toomey; Eric J. Wu, Employment, Corporate, and Litigation Associate, and spouse Tiffany Wu; David Kim, Director at Goldstein & Associates; Michael Allawos, COO at Longxi Bearing USA Inc., and spouse; Albert Huang and spouse; Lily Kuo, Marketing Manager at New Century Insurance, and spouse. 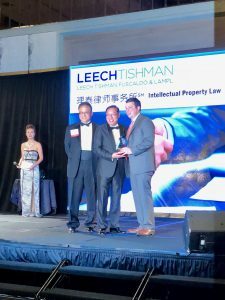 Managing Partner Pete Fuscaldo (right) accepts the commendation from the HKASC in recognition of Leech Tishman’s support and service. Leech Tishman Fuscaldo & Lampl is a full-service law firm dedicated to assisting individuals, businesses, and institutions. Leech Tishman offers legal services in alternative dispute resolution, aviation & aerospace, bankruptcy & creditors’ rights, construction, corporate, embezzlement & employee theft, employee benefits, employment, energy, environmental, estates & trusts, family law, government relations, immigration, insurance coverage & corporate risk mitigation, intellectual property, international legal matters, litigation, real estate, and taxation. Headquartered in Pittsburgh, PA, Leech Tishman also has offices in El Segundo, CA, Chicago, Los Angeles, New York, Pasadena, Sarasota, and Wilmington, DE. For more information call 626.796.4000 or visit us at www.leechtishman.com. Danton K. Mak is a partner at Leech Tishman and is based in the Los Angeles, CA office. 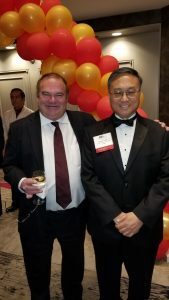 Danton also serves as the President of the HKASC, where he supports the Board in its efforts to bring HKASC forward and sustain growth in the Southern California region. 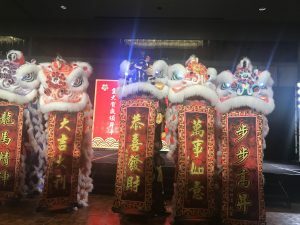 Founded in 1986, the Hong Kong Association of Southern California (HKASC) aims to facilitate business opportunities and strengthen the economic relationship between Hong Kong and Southern California, through mixers, seminars, breakfasts, luncheons, dinner galas and other events. 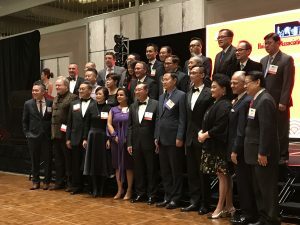 HKASC is a member association of the Federation of Hong Kong Business Associations Worldwide (FHKBAW), which provides its partners with connections to over 13,000 business leaders in 30 countries. 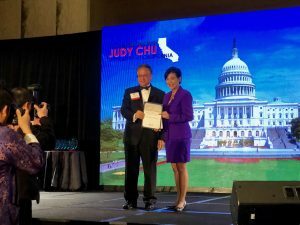 It is also one of twelve charter members of the National U.S. Hong Kong Business Association (NUSHKBA), which was formed in 2004 to develop and promote US-Hong Kong business nationwide.